Earth & Environmental Science Ph.D. The Doctor of Philosophy degree in Earth and Environmental Sciences (NRESS) is offered through the interdisciplinary Natural Resources and Earth System Science program. This program offers students interested in Earth sciences (e.g. geology, geophysics, hydrology, climate science, or geochemical systems) an opportunity to pursue a Ph.D. degree that is tailored to their interests. For more infomation, please contact Lynne Cooper, Educational Program Coordinator, James Hall room 202, 603-862-2227, nress.phd.program@unh.edu. The NRESS Ph.D. in Earth and Environmental Sciences (EES) focuses on problems dealing with the physical, chemical, and/or biological processes that affect earth and environmental systems. Students receiving the Ph.D. degree in EES will typically have a bachelor's and/or master’s degree in biology, ecology, environmental science, geology, hydrology, or microbiology. The requirements of the doctoral program are flexible to accommodate the diverse interests and needs of students. All students in the NRESS program must meet the requirements listed below. The Ph.D. guidance and dissertation committees must consist of at least five members. The chair must be a member of the NRESS faculty. Three of the five members (including the chair) must be NRESS faculty, and committee members must be from more than one academic department. Students are strongly encouraged to include at least one off-campus member. 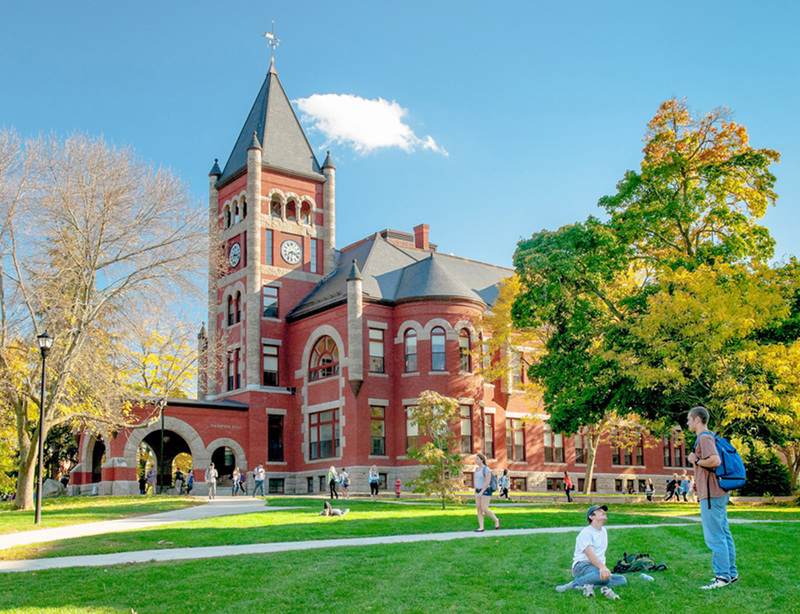 Off-campus committee members must hold a doctoral degree and be approved by the student's adviser, the NRESS Program, and the Graduate School dean. Students should select the guidance committee in a timely manner, within one year for full-time students and two years for part-time students. All students will take one course in each of four core areas while enrolled in the program: natural sciences, ethics/policy/law, methods, and seminar. Students are also required to take NRES 997, Interdisciplinary Research in Natural Resources and Earth and Environmental Sciences, preferably within the first year of enrollment. Any course used to satisfy the natural sciences, ethics/policy/law, and methods core areas must be a classroom course of at least 3 credits. The seminar course must be interactive and must be at least 1 credit. Independent study courses may not be used to satisfy core requirements. Students must complete a Preliminary Coursework Approval Form, which lists the student's planned coursework, within one year for full-time students and two years for part-time students. A Final Course Approval Form, with signatures from the adviser, committee members, and the NRESS program chair is submitted once the coursework is completed. Students entering the program without a master's degree are expected to complete a minimum of 36 credit hours. There is not a specific credit requirement beyond the required four core courses and NRES 997 for students who have completed a M.S. or M.A. degree in a related field. Students enter the NRESS program with diverse backgrounds and preparation in their desired area of study. Therefore, final credit requirements are determined by the guidance committee and may include additional coursework necessary to enhance the student's selected field of study and/or correct any deficiencies in the student's previous program. Students may apply a maximum of 12 credits of independent study and/or seminar courses to their total course requirement. Graduate-level courses taken prior to admission may be transferred into the program and applied to the total only if they were not taken while matriculated in another degree program, as per Graduate School policy. These courses may not be used to meet the core course requirements. Transfer of credits must be approved by the adviser, the guidance committee, and the Graduate School. Language proficiency may be required at the discretion of the student's adviser/committee. If required, a student will need to show proficiency in one foreign language or one computer language. Each student is required to pass three examinations, each of which has both a written and oral component. Additional preliminary examinations may be administered before the three required exams as the committee deems necessary. Performance on such an exam will determine areas where the student needs additional coursework or could result in the student's removal from the program. Comprehensive exam (sometimes referred to as the qualifying exam): The student must prepare an extensive written answer to one question from each committee member that covers the basic concepts and factual material deemed essential for the student’s program. Three weeks are allowed for completion of the exam during which time students are expected to work solely on their answers. Answers are expected to be anywhere from 10 – 20 pages per question with extensive literature citations. Completed written answers are submitted to the advisor who then distributes copies to the other committee members for review. Approximately 1 – 2 weeks are allowed for the committee to read the answers, after which time the student gives an oral presentation to the committee. Following the presentation, committee members will ask for clarification of the student’s answers, if necessary. The committee may require a student to repeat part, or all, of the comprehensive exam if the student’s performance is deemed unsatisfactory. This exam should be taken within three years of initiation of graduate study in the program. Proposal exam: The student must present to the committee a written proposal on the dissertation research topic. Once the proposal is written, the student will complete a public oral presentation of the proposed research, followed by an oral examination by the committee. Final exam: The student must complete a written Ph.D. dissertation prior to the final exam. Once written, the student is required to complete an oral defense of the dissertation, which will include both a public presentation and oral examination by the committee. A student may be required to take additional courses following either the comprehensive or proposal exam, or may be removed from the program following failure of any of the required exams. Students are advanced to candidacy after successfully completing the comprehensive exam, proposal exam, and all coursework required by the guidance committee as summarized on the Coursework Approval Form. A clear, concise statement of the applicant’s relevant past experiences including academics, research, and/or work experience. The statement should also include an expression of interests and an explanation of the student’s goals in pursuing a doctoral degree. Applicants must identify in the application personal statement an NRESS PhD Program Faculty member willing to serve as their graduate advisor. Applicants must secure a faculty member from the current list of NRESS faculty who will agree to serve as advisor and potentially provide funding for the student’s doctoral studies. Applicants should visit the NRESS program website and review the list of faculty in their area of interest. The applicant should contact potential faculty advisors to discuss their interests to determine if the faculty member(s) would be willing to serve as the student’s advisor before applying to the program. Applicants to the NRESS Ph.D. Program come from a wide range of undergraduate majors. Individuals are considered based on the quality of their work and its relevance to the particular area of study they wish to pursue. 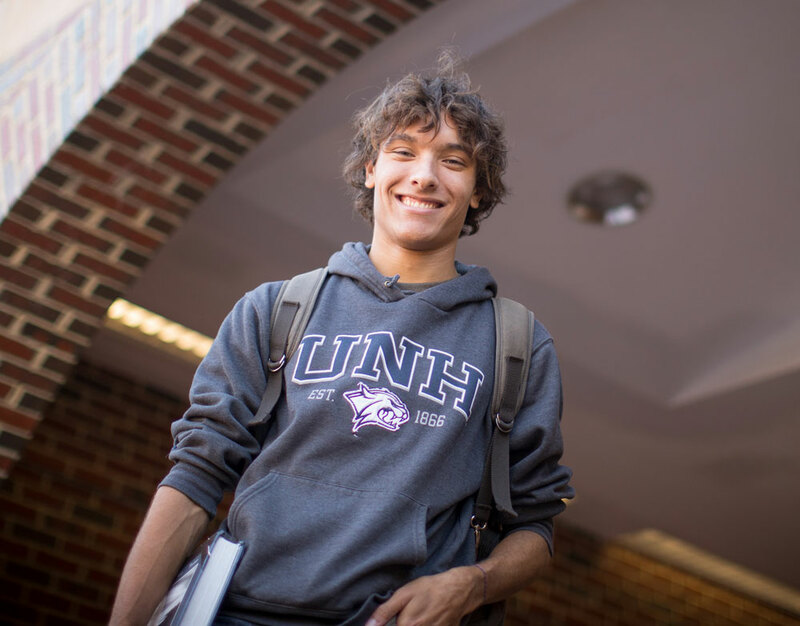 Students currently enrolled in the NRESS Ph.D. program number nearly sixty-five, making NRESS the largest Ph.D. program at UNH. The NRESS Student Network aims to foster community across the highly interdisciplinary NRESS student body. The Student Network coordinates professional and career development activities, as well as provides student support, guidance, and mentoring.